The exterior of Frosty Boy. On a recent trip to St. Louis, I was looking for a quick lunch off Interstate 70. I decided to check out Knightstown, close to halfway between Richmond and Indianapolis. 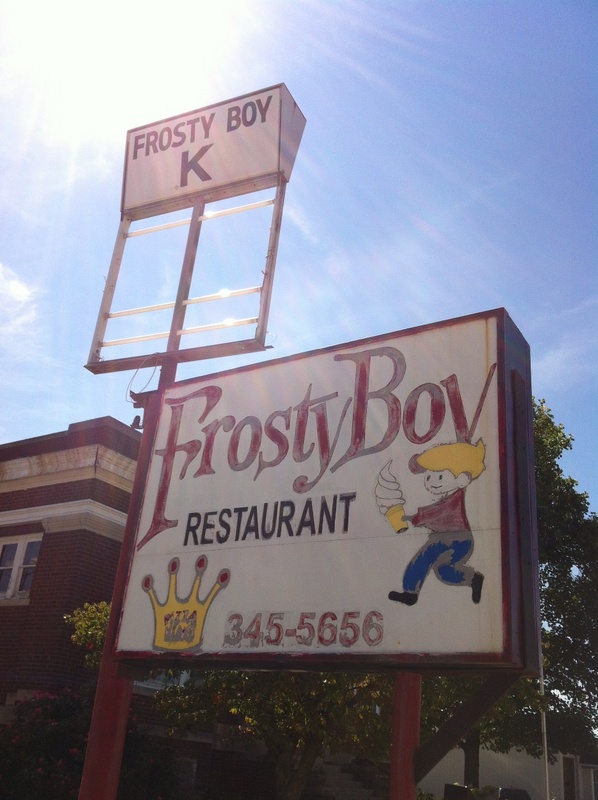 I came across Frosty Boy, mostly because of the look of the building – it stands out on Knightstown’s historic Main Street. I don’t know much about this history of this place, but judging by the architecture, the building has probably existed for a few decades. Frosty Boy doubles as a Pizza King location, which (I later learned) is a mid-sized pizza chain in East Central Indiana that’s been around since the late 1950s. However, I also found after a quick-and-dirty Internet search that this location may not be an “official” Pizza King outlet. It’s not listed as a location on Pizza King’s website, and apparently Indiana’s pizza history involves a few Pizza King copycats, so I’m not sure what the case is here. But back to the Frosty Boy end of it. The menu – with lots of options. 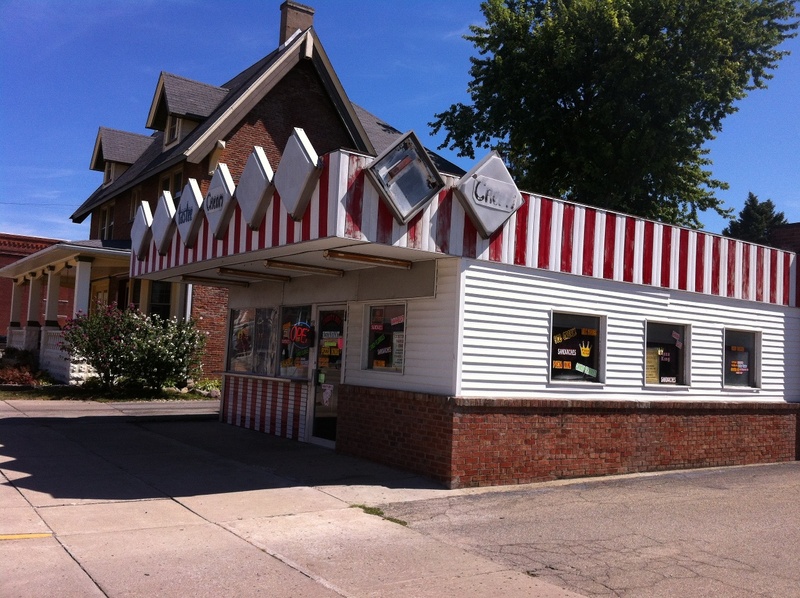 The menu is chock full of options, mostly diner-type food and, of course, ice cream. I went with a breaded pork tenderloin, because Indiana. The food came out quickly, and it wasn’t bad. Being mid-afternoon on a Friday, there weren’t too many other people coming and going, and most got some form of ice cream. Still, it definitely beat larger fast food outlets for a quick bite to eat. And, they have breaded pork tenderloins, which are a very popular sandwich in the Hoosier State (there’s even a blog dedicated to them!). 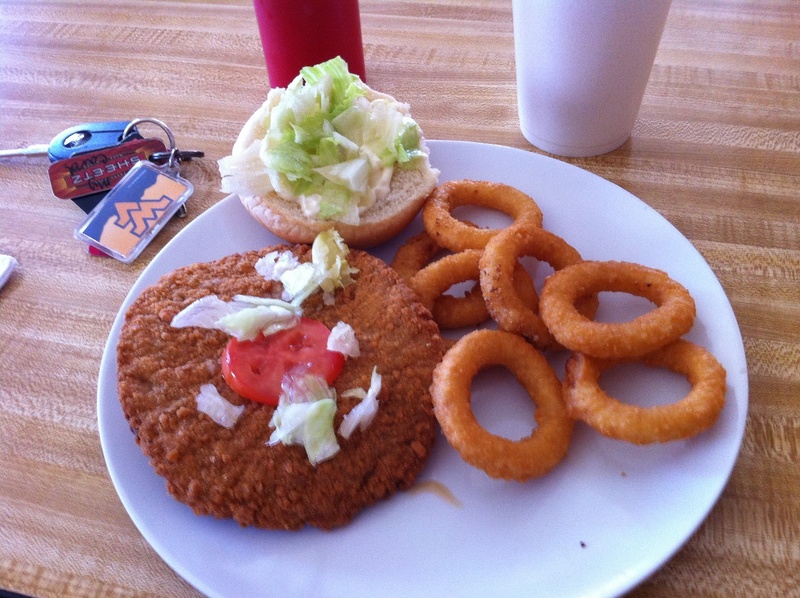 A breaded tenderloin at Frosty Boy. If you’ve never had a tenderloin before and are in Indiana, try one. There are a ton of great restaurants across the state that serve this sandwich, and one of the more well-known places to grab one is at Nick’s Kitchen in Huntington – the same city where I went to college. Since I mentioned Rick Garrett’s blog earlier, here’s his review for Nick’s Kitchen. Parking is available on-site. Frosty Boy also only takes cash – no credit/debit cards. 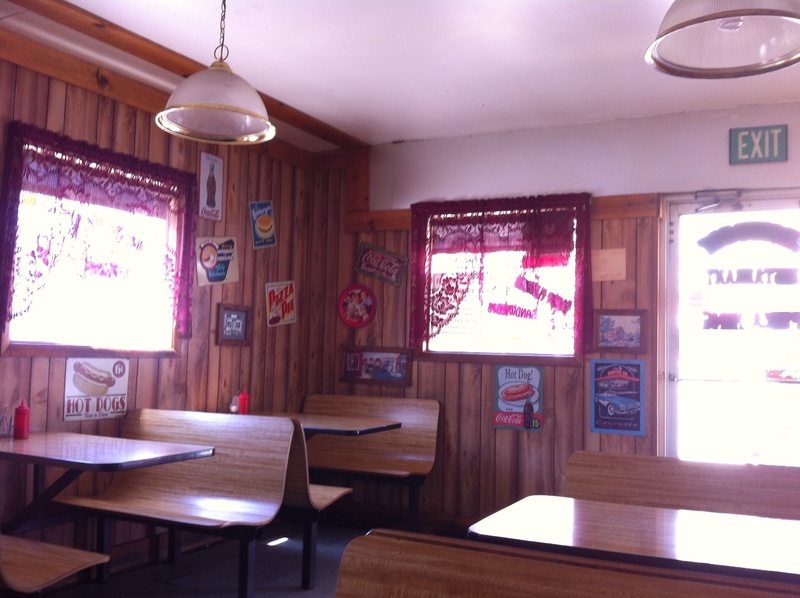 The interior of Frosty Boy. 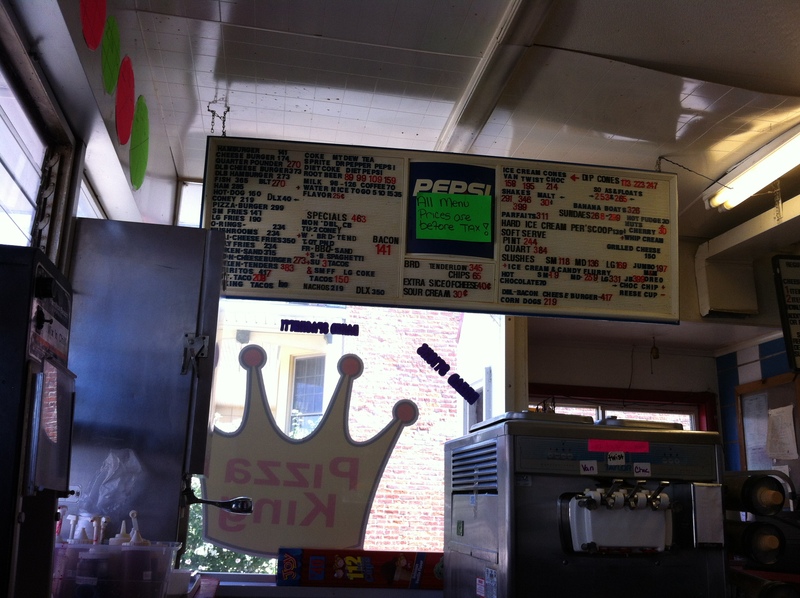 This entry was posted on Monday, November 4th, 2013 at 12:30	and tagged with frosty boy, indiana, knightstown, national road, tenderloin, us 40 and posted in Dining, Henry County, Indiana, Knightstown. You can follow any responses to this entry through the RSS 2.0 feed. « Mile 1 – Coney Island/Curtis’ Famous Wieners, Cumberland, Md. I love little joints like this. How did I not know about it? I’ve driven this section of the NR before!